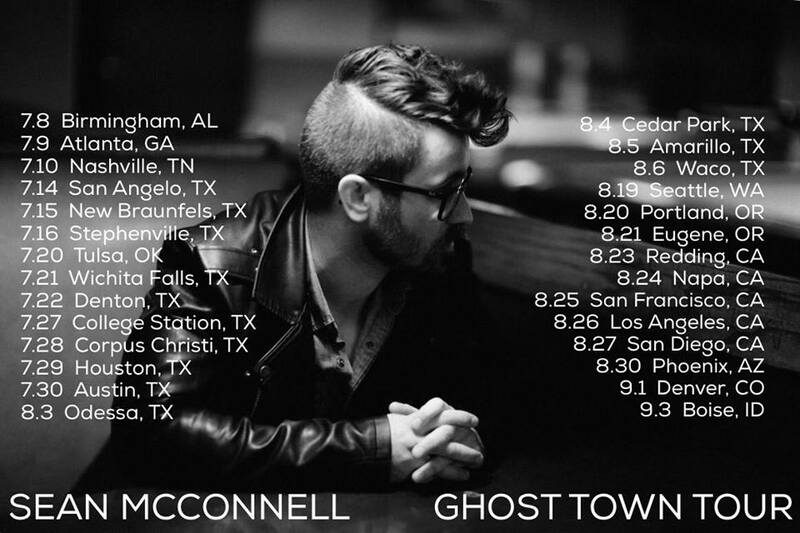 I interviewed Sean McConnell about his new self-titled album, his new relationship with Rounder Records and his upcoming show at Gruene Hall! Sean McConnell may have been a household name to many of us in Texas for the past 6 or so years, but believe it or not there is a whole world out there that hasn't been properly introduced to the man! That terrible mistake will very likely be corrected soon, as Sean is about to release his 8th full length album which happens to be his first with a record label, and as his introduction to the rest of the world it is self-titled "Sean McConnell". Sean recorded this new project on his own steam and out of his own pocket, but then signed with Nashville-based Rounder records back in February. Rounder also currently works with such artists as Steve Martin & Edie Brickell, Rush, Greg Allman, Sierra Hull and many more, and over their 46 years in business they have been involed with some stellar artists such as Allison Krauss, Ricky Skaggs, The Steeldrivers, Steep Canyon Rangers, Honeyhoney, Jimmy Sturr, Edie Brickell & Robert Plant just to name a FEW! Sean's new album is due out on Friday, July 8th, and is tagged with the genre singer/songwriter. Sean is one of the best performing songwriters of present day, but he fits comfortably into genres such as Americana, Roots, Folk, Country, Pop, Rock, Blues or even Christian & Gospel at times. Some of those would be pretty loose affiliations, but fans of any of these are likely future Sean McConnell fans. I've heard the two singles that have been released from this new album so far; "Queen of Saint Mary's Choir" and "Holy Days". Both show Sean's strong storyteller roots and he calls this his most personal album so far. "Queen of Saint Mary's Choir" is straight up an upbeat telling of Sean's life story. His parents were both musical, and played coffee shops and other small venues in the folk music scene in Massachussetts. His father played guitar and wrote songs while his mom sang both her husband's originals and folk covers of artists such as Joni Mitchell, Bob Dylan, James Taylor and more. Sean has been performing for nearly the last 20 of his 31 years, and has performed at Gruene Hall and other venues in our area regularly since he began working with local artists such as Wade Bowen and Randy Rogers around 2009, and he will be at Gruene Hall on Friday, July 15th on his "Ghost Town Tour" with his new self-titled album in tow. Make sure to make it to this show and pick up a copy so you could say you were at his first show after the release of this game changing album that is likely to propel him into a new level of mainstream success!